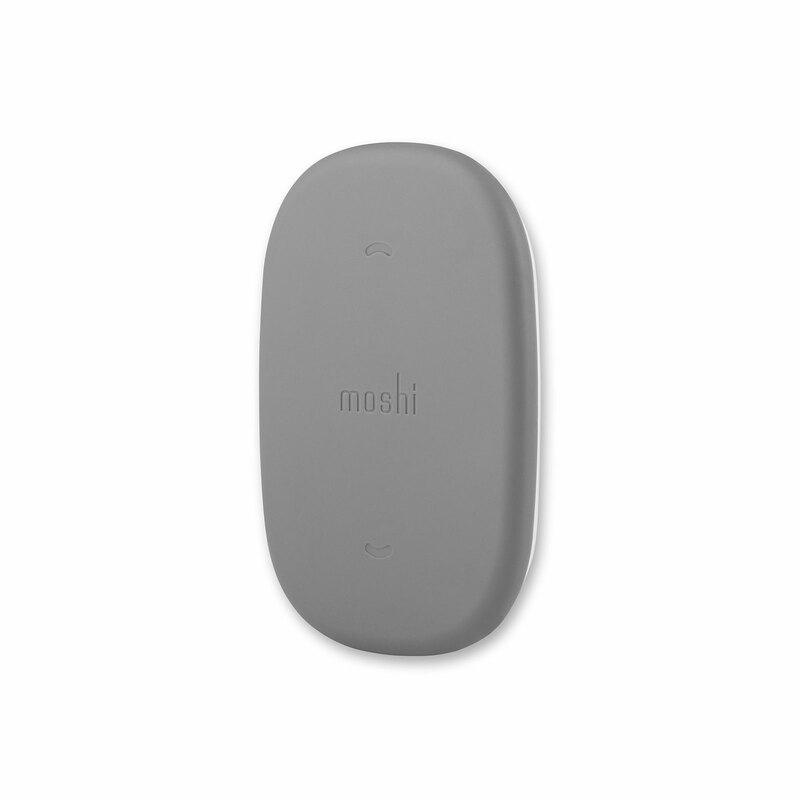 Moshi’s SnapTo™ magnetic wall mount provides the ultimate in hands-free convenience. 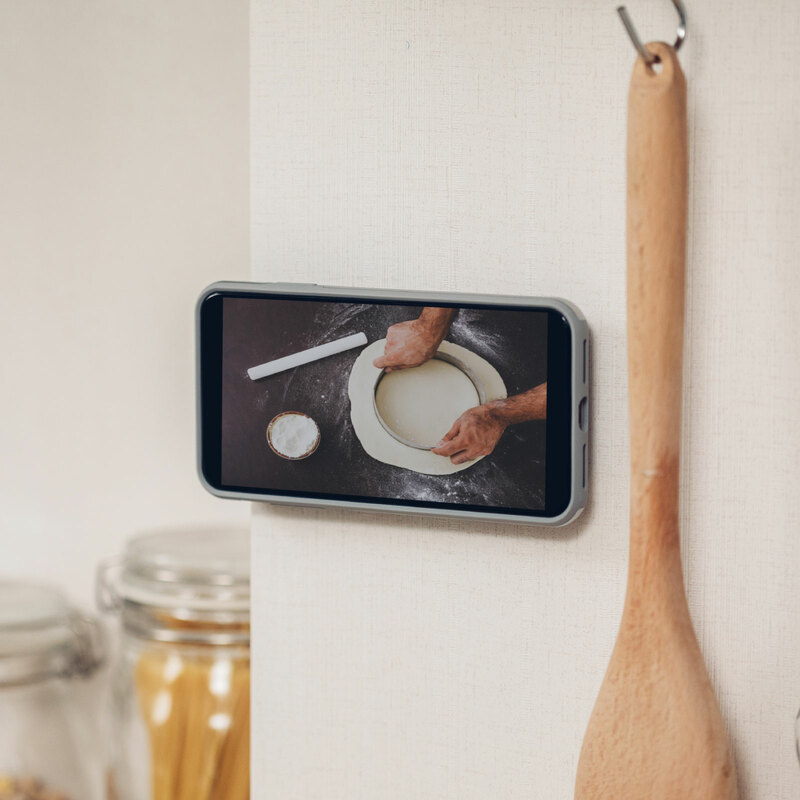 Mount your phone anywhere in either portrait or landscape mode. 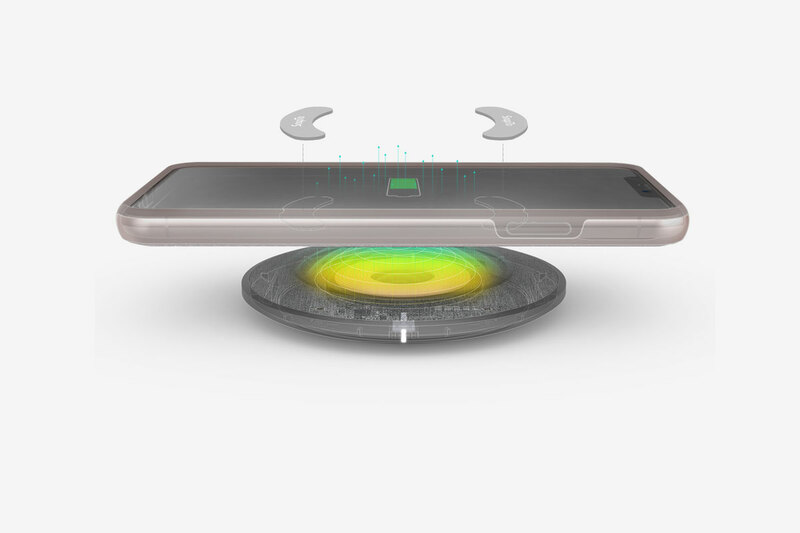 This is also the world’s first magnetic mounting system compatible with wireless charging. 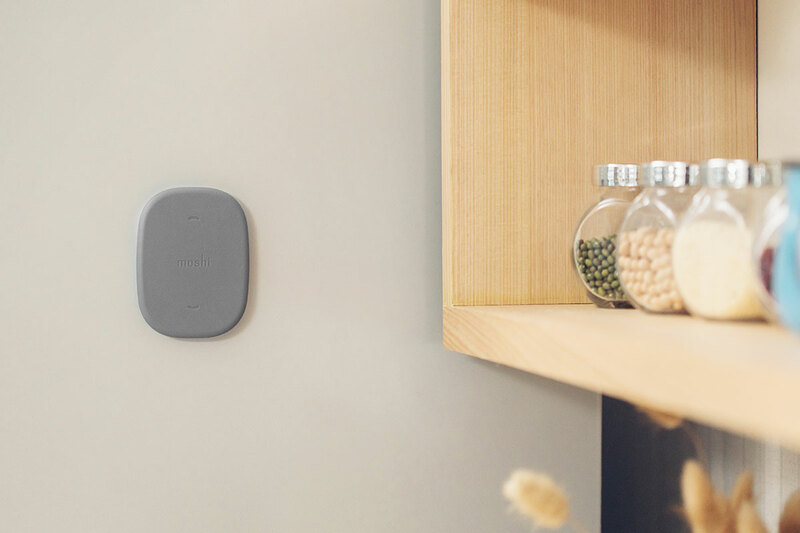 In the bedroom, kitchen, bathroom, or garage, enjoy the ultimate in hands-free convenience. 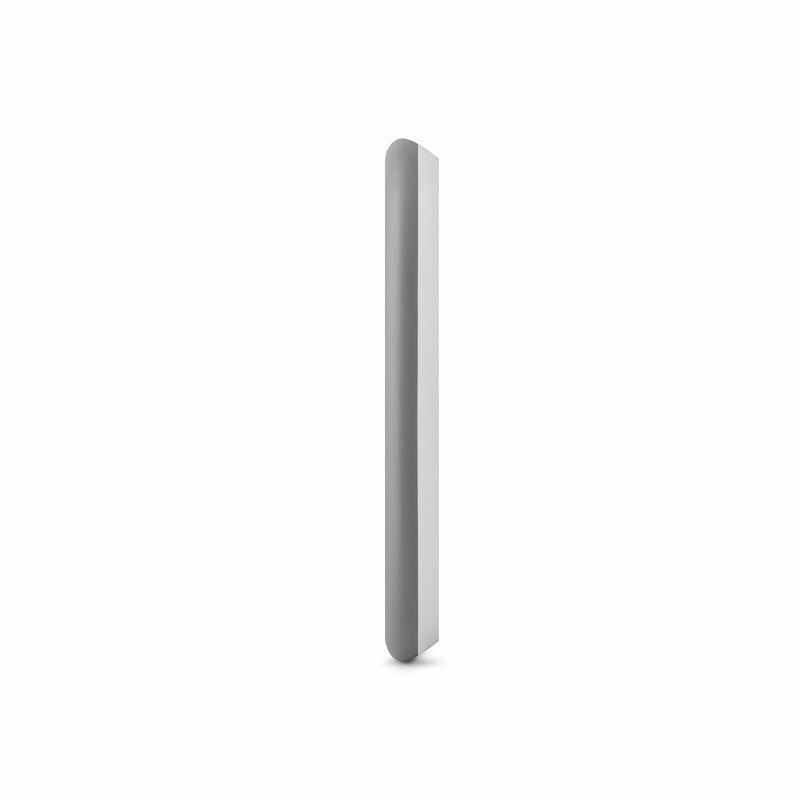 The 3M adhesive can withstand weight up to 2.2 lbs (1.0 kg), enough strength to hold up 4 large iPhones. 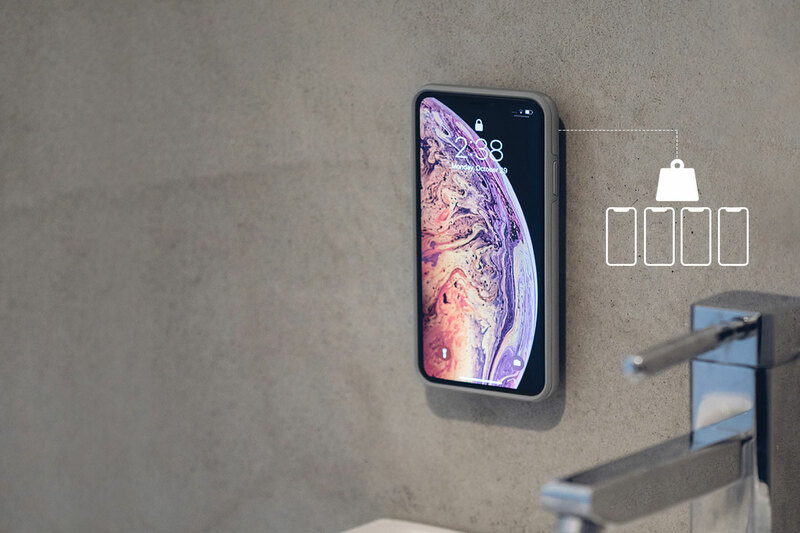 Easily switch from portrait mode to landscape mode for added flexibility. 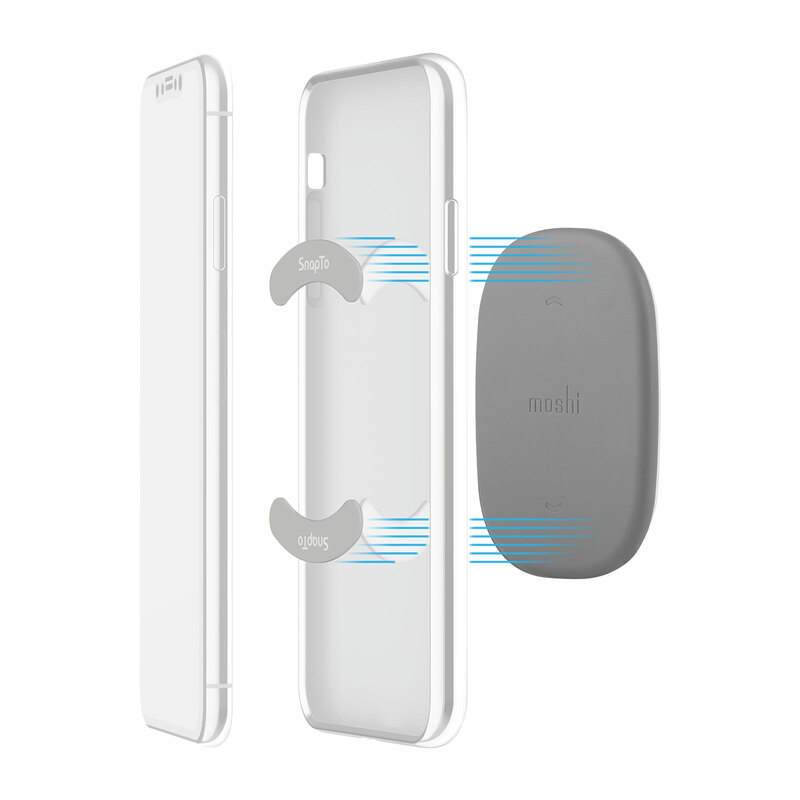 The SnapTo tabs that go inside the case are positioned so they never interfere with wireless charging. 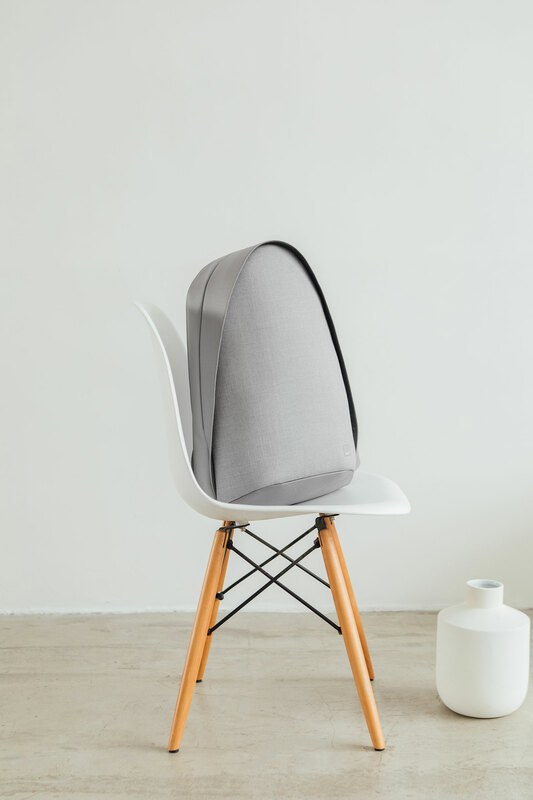 The SnapTo tabs are designed to fit on the inside of Moshi’s iGlaze, Vesta, and Altra cases. 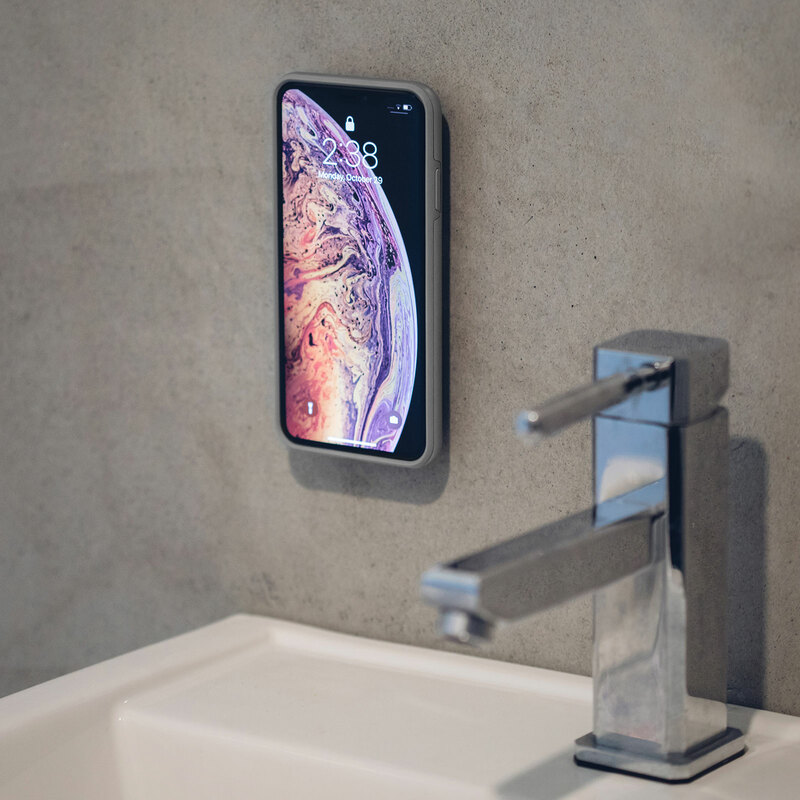 Completely sleek and unobtrusive. 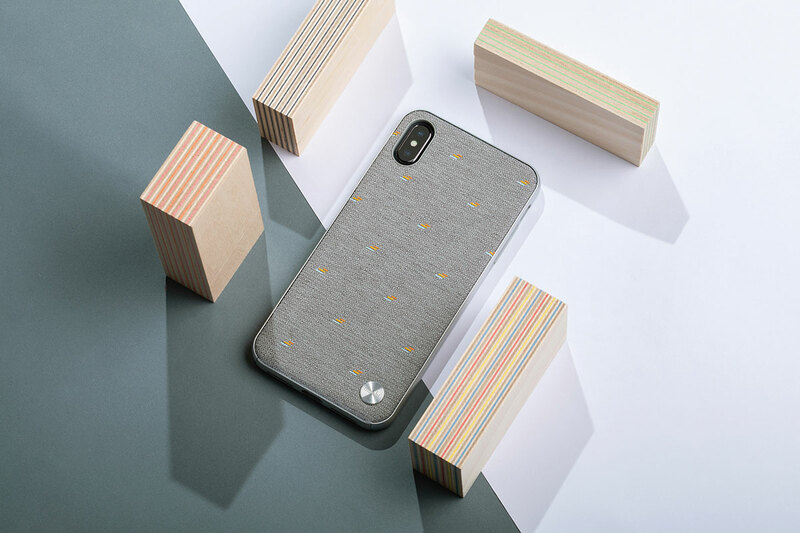 Protect your phone from drops, and scratches. 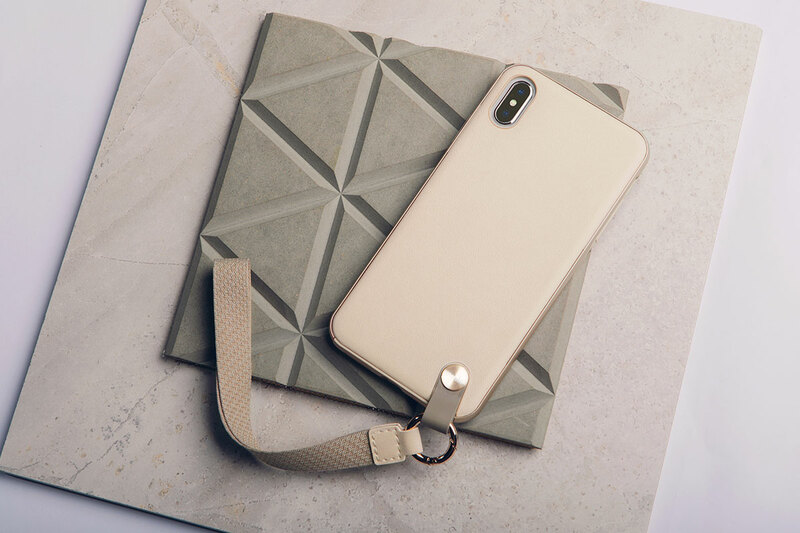 Bring protection and style to your phone. Open a new world of hands-free convenience. 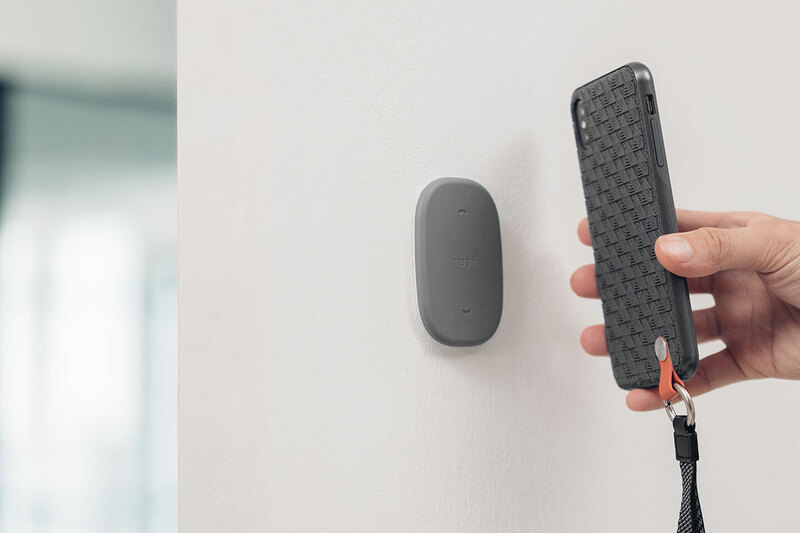 Moshi’s SnapTo™ magnetic wall mount provides the ultimate in hands-free convenience. 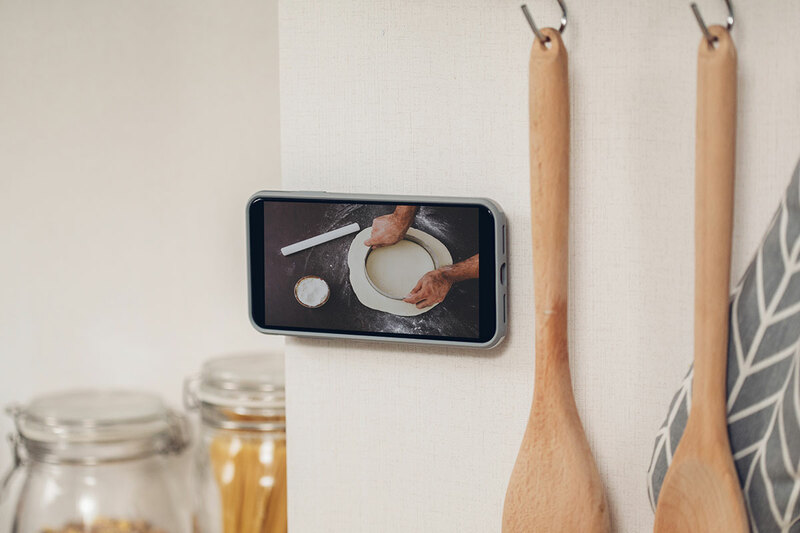 Keep your screen in view while you’re streaming your favorite TV show, video calling with a friend, or learning a new recipe in the kitchen. 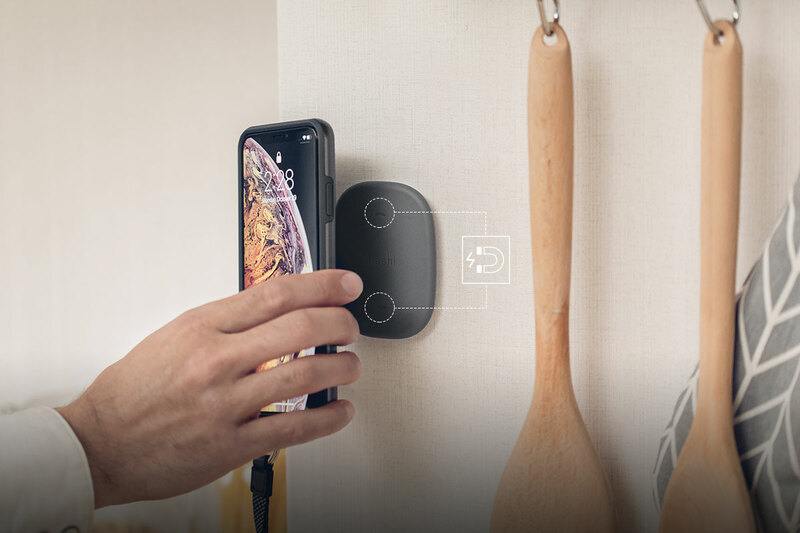 The mount rotates in both portrait and landscape mode, and securely attaches to any clean flat surface using extra-strength 3M adhesive strips rated to 2.2 lbs (1.0 kg). 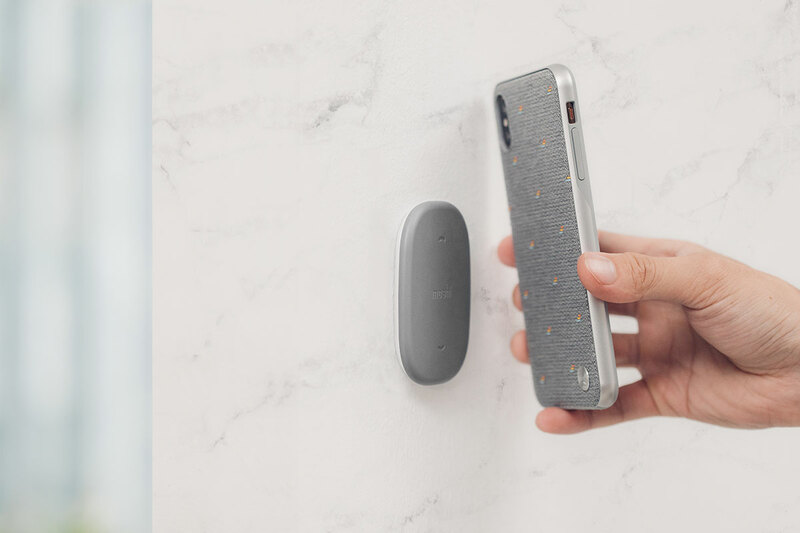 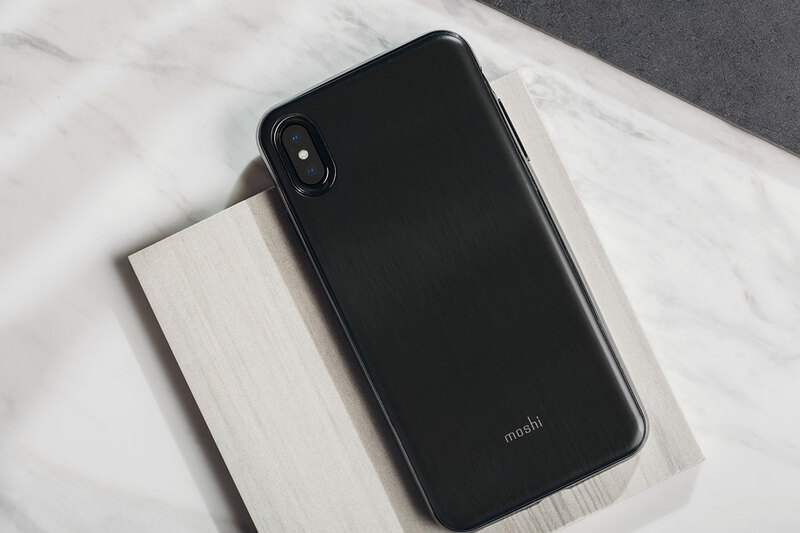 The mount includes two SnapTo™ metal tabs which are compatible with wireless charging, and designed to work with these Moshi cases: iGlaze, Vesta, and Altra.